Give your body a hardy workout without stressing your joints with the Steelflex XE7400 Elliptical Trainer. Design & Engineering come together in this unique masterpiece of exercise technology. 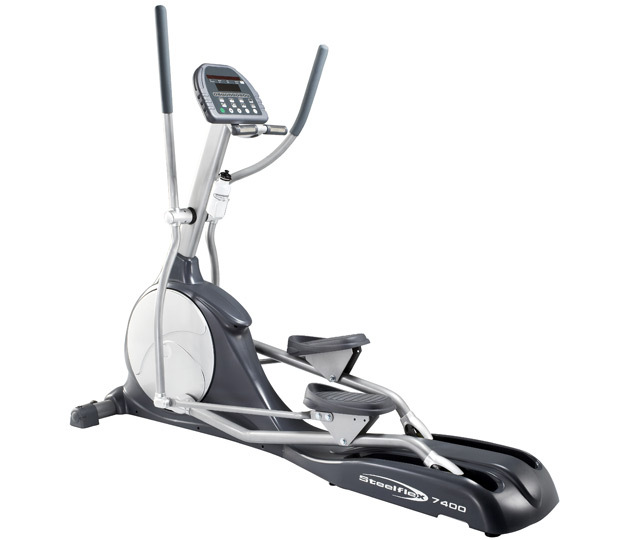 The XE7400 is a self-generating elliptical machine for low-impact cardiovascular exercise. The XE7400 has forward and reverse directional movement, EKG grip pulse handles, extra wide pedals, water bottle holder, and heavy duty steel frame construction. Assembly is required, and a printed instruction manual is included.